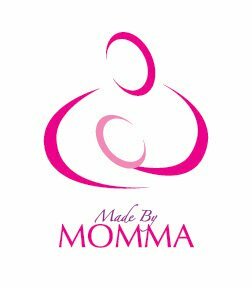 Not long ago, Role Mothers introduced me to an outstanding Non for profit organization called Made By Momma. They are a group of mothers helping other mothers. And as a mother of 2 boys under the age of 5, I know how hard it can be at times to just catch your breath. I know what it feels like to be overwhelmed at times. But what I don't know is being a mother recovering from illness and injury. And that's why getting involved with Made By Momma was important. I'll admit, there are times when I do think I'm Super Mom! But once reality settles in, I too needed a helping hand. We all need that extra hand from time to time. So where do you turn when you need help? Family, friends and colleagues are a great resource, but not everyone has those options. Made By Momma touched my heart. They deliver baked goods and hot and frozen meals to mothers recovering from illness and injury, mothers experiencing situations of adversity and women who need some extra time while establishing breastfeeding or bonding with a new baby. They provide other services as well to help mothers the best they can. So, my friend Jo Jo and I came up with the idea for a Made By Momma Recipe Exchange. Bring food to donate, have a get together with friends, and you go home with the new tasty recipes to test in your own kitchen. Being the middle of December, several people were too busy to attend the party, but that didn't stop them. They dropped off meals and baking to my home, until the baskets were full! and... a whole lotta love! Thank you Jo Jo, Melissa, Lisa, Shanna, Kathy, Laurie, Kim, Lindsay, Danielle, Pam, Carolyn, Erin, Kelly and Cindy. As Made By Momma said, "Women helping women, it's one of the best and strongest support systems that has ever existed". Made By Momma is always looking for women with kind, generous hearts to help out! They know that women are multi-talented and whatever your "gift" from preparing meals, baking, knitting, artwork, dog walking or providing breastfeeding support or advice, you will be a welcome addition to their care team. Please visit http://www.madebymomma.org for more information.